Most of us believe that every event has a cause and effect. We often feel there is someone or something we can put the blame onto besides ourselves. We may blame everyone from our parents to our bosses. 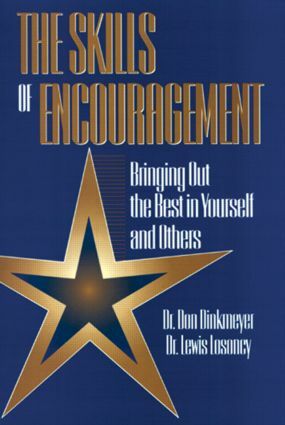 Discouragement and unhappiness are ways of life for many of us.Now there is a book that addresses these realities.Skills of Encouragement provides opportunities for readers to improve their self-esteem and personal skills through practical exercises.Learn how to achieve a positive approach to living. Dynamic power is set free when you know how to focus on the positive potential within yourself. The authors have identified the process of encouragement that can produce an exciting, fulfilling and ultimately happy life. Encouragement Is Positively The Way Up!